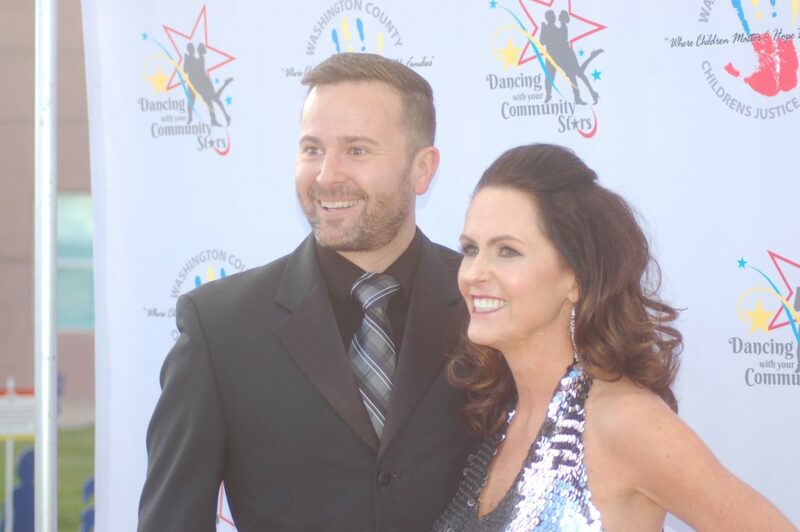 ST. GEORGE — Despite a minor wardrobe malfunction that affected his tear-off pants, builder Brett Boyce cha-cha’d his way to the top of the competition at the third annual “Dancing With Your Community Stars” fundraising event Saturday evening. 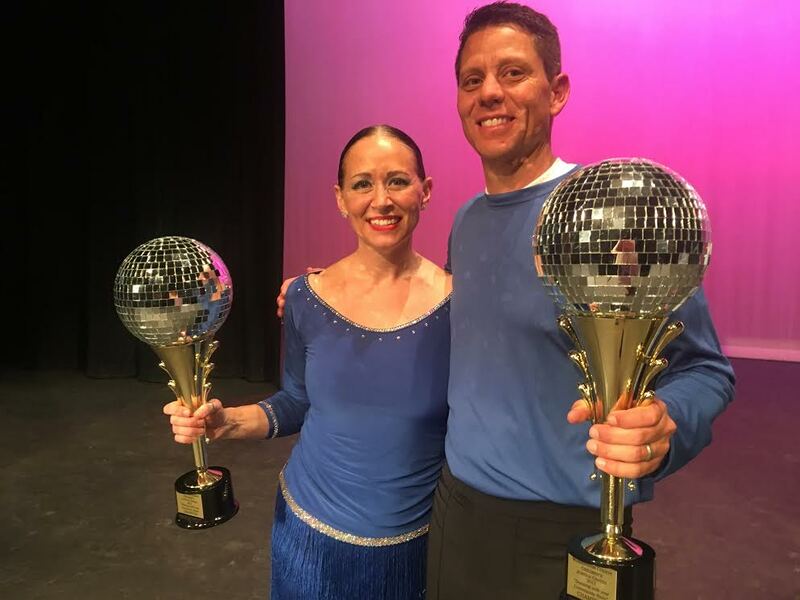 With a perfect blend of hip-hop, latin dance and comedy, Boyce and his professional partner Christine France won over the judges and the audience and walked away with the coveted mirror ball trophy. 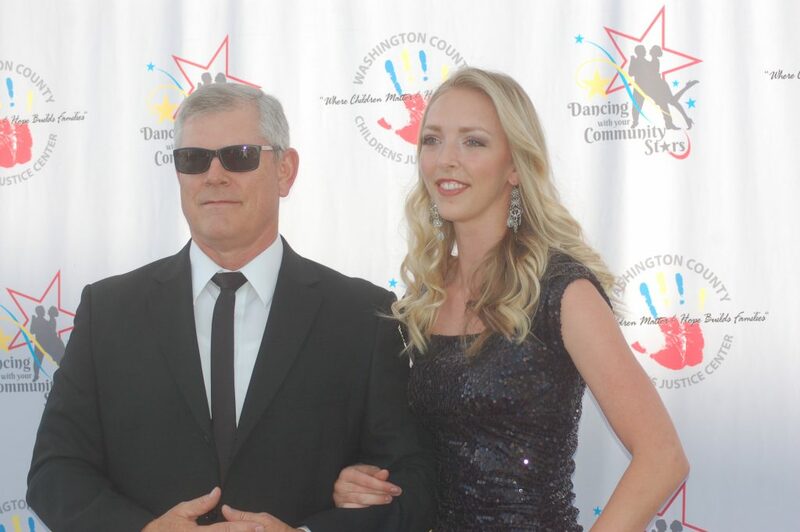 Now in its third year, the competition, which is patterned after the popular television reality show “Dancing With the Stars,” is a fundraising event for the Washington County Children’s Justice Center. “The Children’s Justice Center is one of 20 homelike facilities across the state of Utah that serve children and families who are experiencing the crisis and chaos that comes with the disclosure of significant physical or sexual abuse and other crimes involving children such as domestic violence,” a news release regarding the center said. 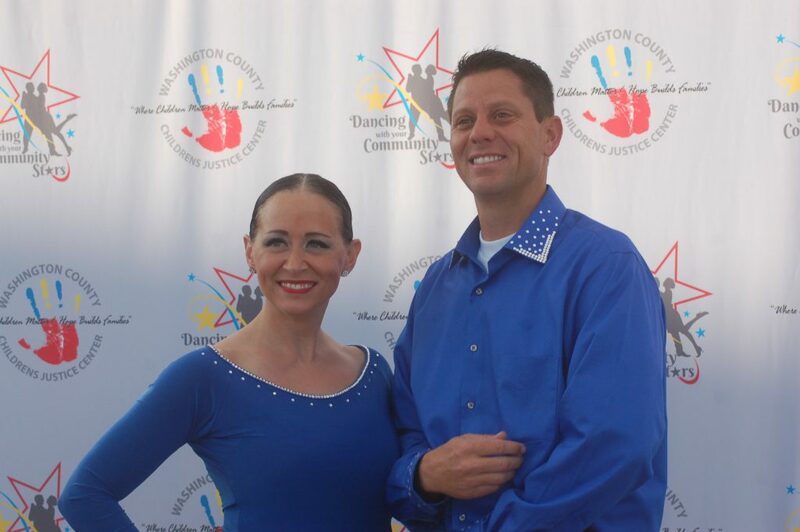 The competition showcased six community stars along with their professional partners in a dance showdown to see who had the best moves on stage and who could bring in the most votes. Winners and finalists were selected by a combination of judges’ scores, audience votes and votes that were purchased in advance of the competition as well as at Saturday’s event. Camilla Clawson and Geoff Hall doing the jive. Celece Seegmiller and Neil Duncan doing disco. 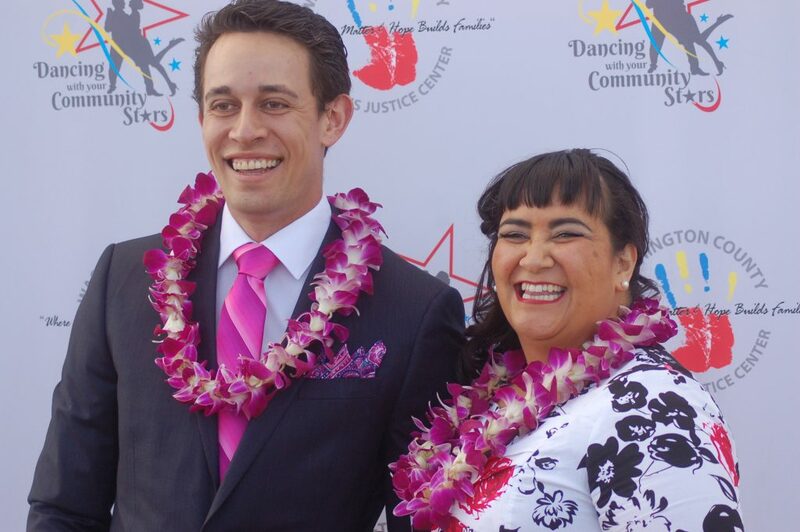 Susi Lafaele and Donjuhl Pili doing the Lindy Hop. Thayne Houston and Mindy Wright doing the waltz. Dr. Jared Dupree and Kelby Morrison doing the jitterbug. Brett Boyce and Christine France doing the cha-cha. Each of the six couples performed for the audience and received feedback and a score from the judges after which the audience was able to cast votes for their favorite. When the votes were tallied competition was narrowed down to three couples: Dupree and Morrison; Clawson and Hall; Boyce and France. The three finalists had a second opportunity to perform for the audience before the final votes were cast to determine the winner. Dupree and Morrison were the second runner-up duo with Clawson and Hall following as first runner-up. But the night’s big winners were Boyce and France who delighted the crowd with a hip-hop infused cha-cha danced to Boyce’s children’s favorite songs including the iconic hit “Ice Ice Baby” by Vanilla Ice. Boyce had a slight mishap when the tear-off pants he was wearing at the beginning of his performance kept falling down. Fortunately the wardrobe malfunction added to the comedic effect of the routine and seemed to help the couple rather than hinder them. 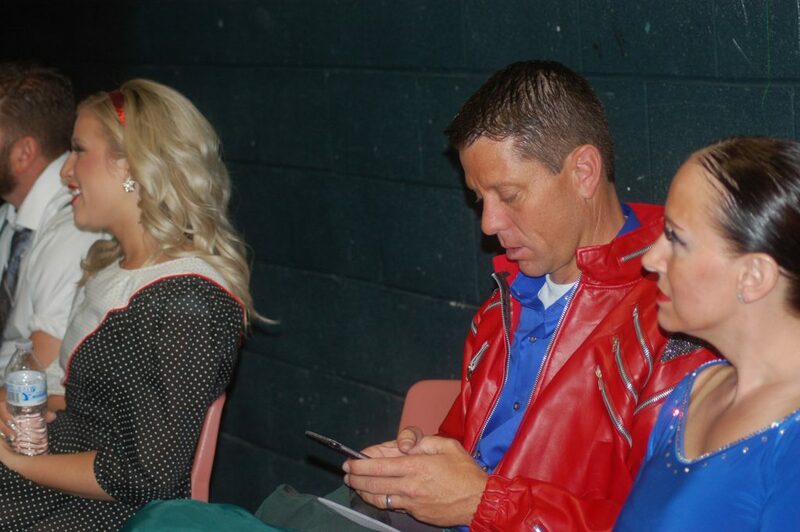 The dancing pair was excited about their win and happy to see their hard work and preparation pay off on the stage, they said. 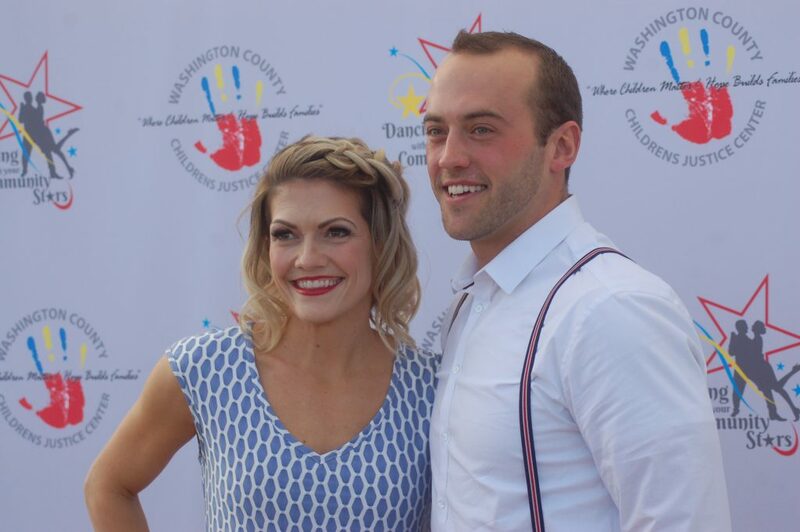 Beyond showing off their dancing prowess they were happy to be dancing for the Children’s Justice Center and the work it does for children in Washington County who have been abused. Last year’s winner Ben Shakespeare returned to the stage at Saturday’s event performing a number with his daughter Abi Shakespeare and presenting the trophies to the winners. Like Boyce and France, Shakespeare said that he was pleased to be involved in such an important event. “You can’t do it for a better cause,” Shakespeare said. The Washington County Children’s Justice Center helps over 300 children a year who have been abused physically and/or sexually or who have experienced trauma in some other way, Donna Roberts, event co-chair said. It is a staggering number for many who may not think that child abuse happens so often in Washington County. 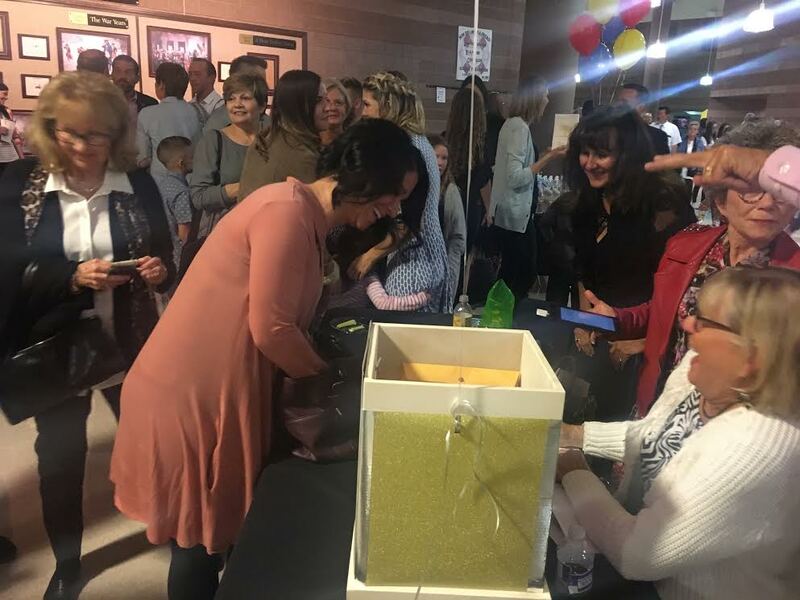 Saturday’s event served as both a fundraiser to help with the facility’s operations and to raise awareness for the center. “(This) gives us an opportunity to educate the community about the problem that is here because people want to turn a blind eye to it,” event co-chair Kathy Tolleson said. Tolleson said that it is very unfortunate that the problem of child abuse exists in our community, adding that Washington County is fortunate to have the Children’s Justice Center here to provide a safe space for children while they undergo the often scary and invasive process of coming forward with their abuse. 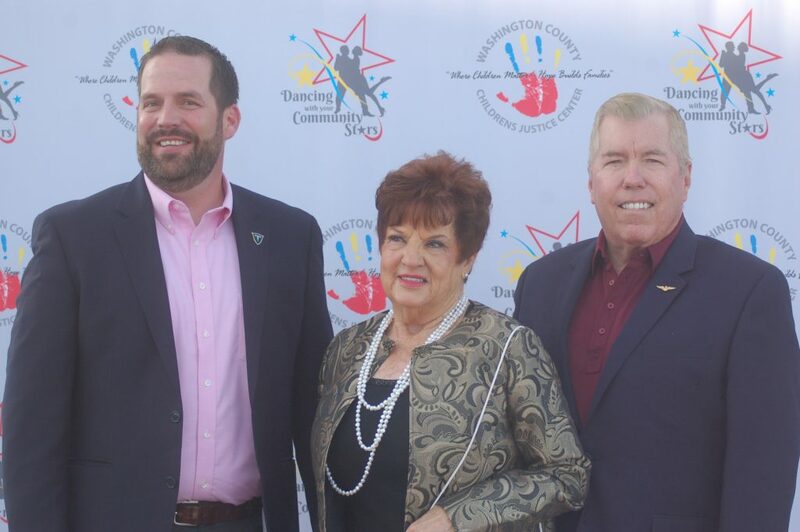 Both Tolleson and Roberts were thrilled with the evening and were grateful for the community support saying that it was off the charts.